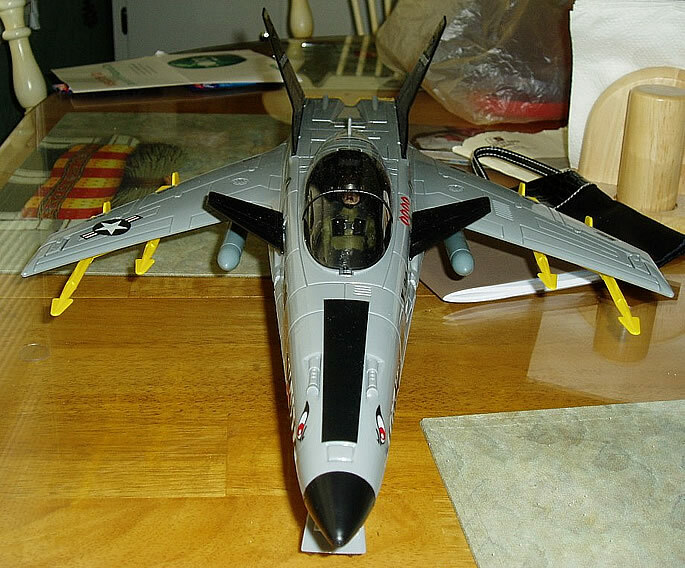 First up is the Conquest X-30 jet with Lt. Slip Stream. 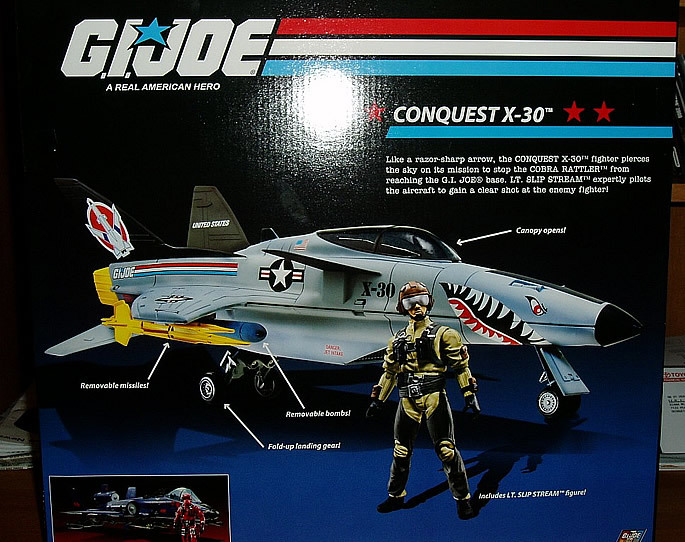 The Conquest has always been my favorite GI Joe jet and this version is no different. 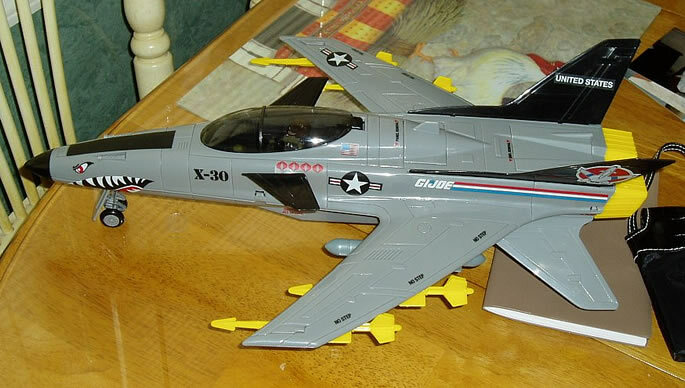 I really don't know if they had to make any tooling changes to this or not if they did they are very subtle and take nothing away from this jet. 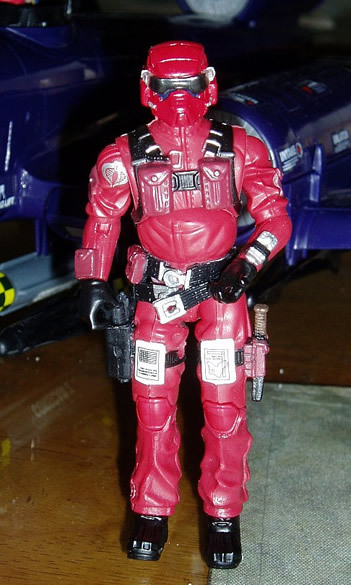 Slip Streams fits well in the cockpit but you have to get him in there at an angle because of the holster on his leg. 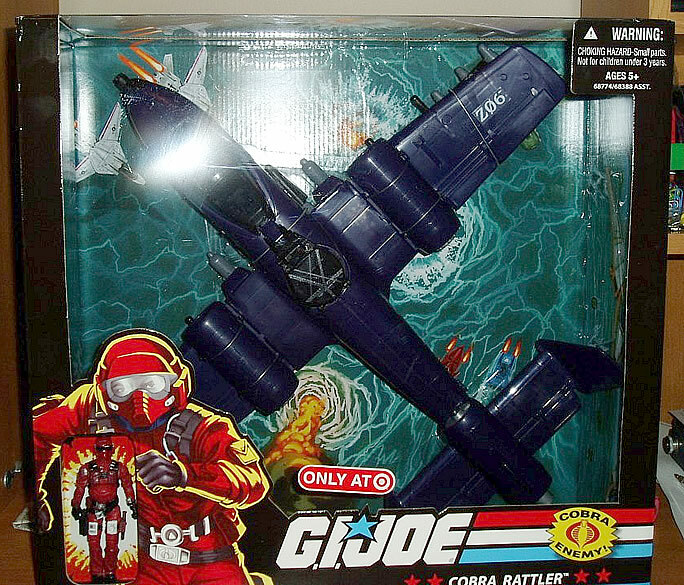 I cant really say why I like this one when so many Joe fans prefer the Sky Striker. Maybe its the forward swept wings or the stickers that combined with the flat light gray color of the jet that make it resemble a shark with razor sharp teeth ripping through the air. 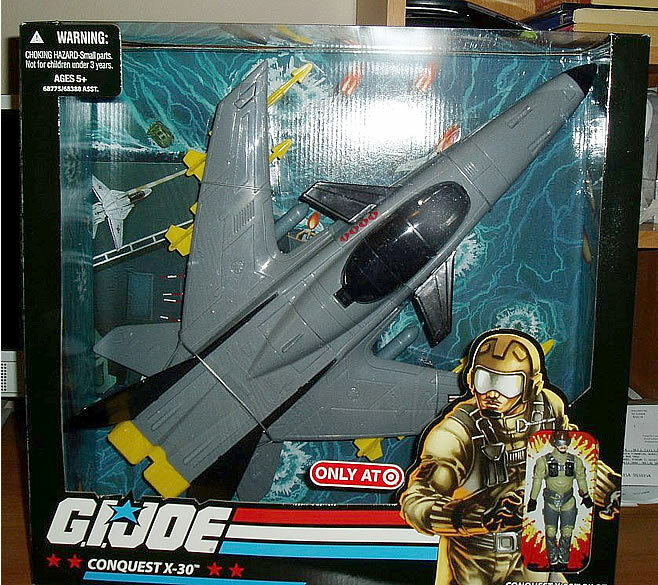 No matter this is my favorite Jet and I am happy to add it to my collection.Lt. 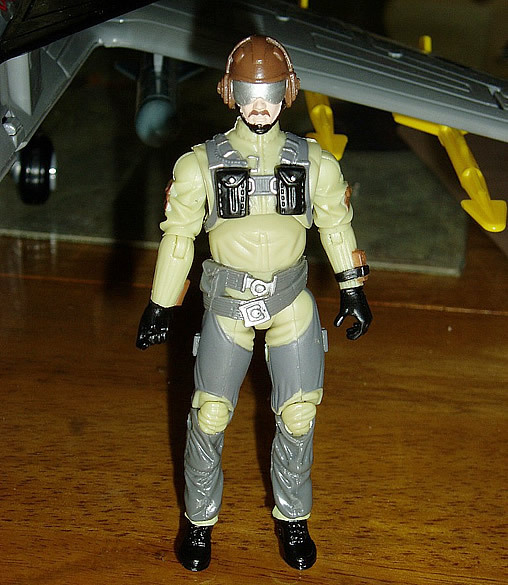 Slip Stream is a mix of parts that we have seen before (Tripwires head, Wild Weasel torso,Wild Bill legs. )The big difference is this parts combination works great. 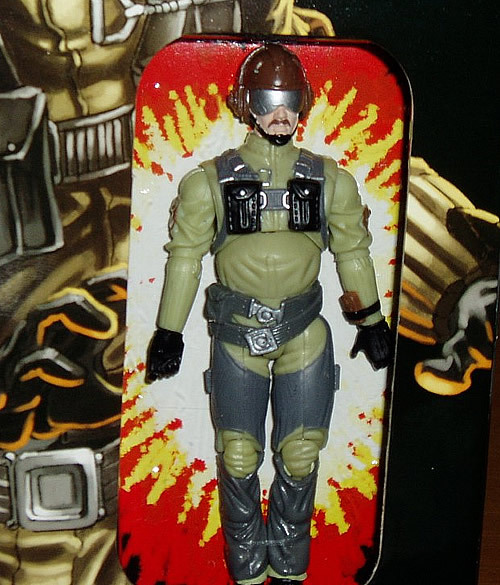 This is a classic example of what can be done with the parts Hasbro has to work with. Now onto Cobras VTOL the Rattler. 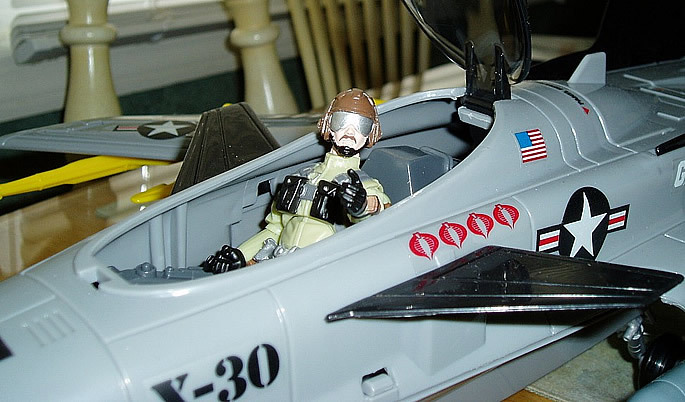 This time I will start with Wild Weasel. He is exactly the same as the comic pack version that came with Cap. Ace. I guess since they nailed him the first time there was no reason to make any changes. 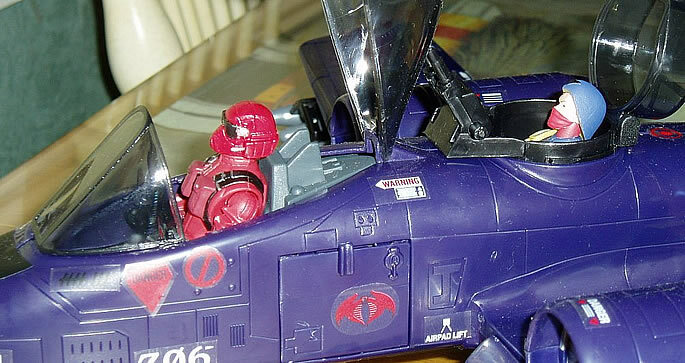 The rattler has been one of the most popular Cobra vehicles ever. 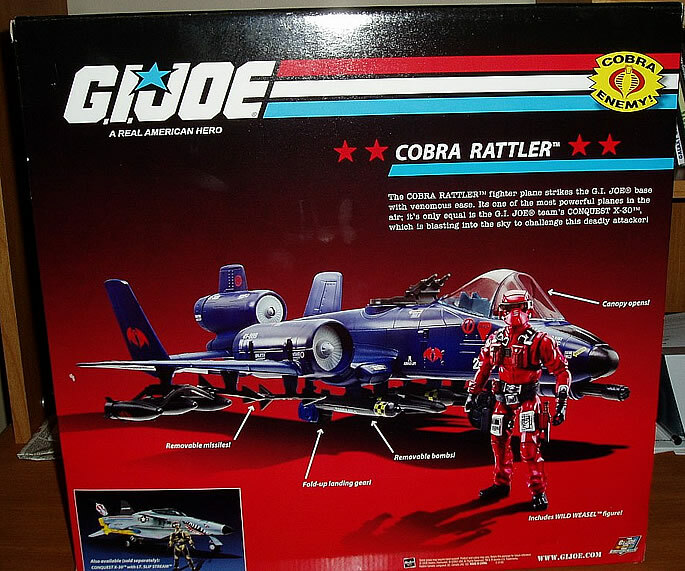 In fact when most fans think of Cobra the two vehicles that spring to mind are the Rattler and Hiss tank. Well I am happy to say the Rattler we got through the Target exclusive is everything a fan could want all of the things that made the original great and a few improvements to the landing gear that make it better. I'm not really sure if they made any tooling changes to this one, if they did it's probably in the canopy, it seems a little taller than I remember. 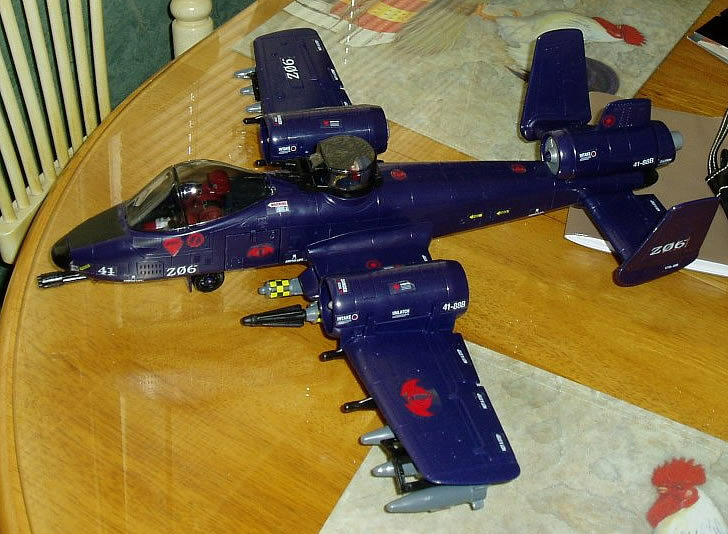 It has it's classic Cobra blue color and a ton of stickers ( It took me about 45 minutes to put them on) It also has all of the missiles and bombs that you could want. The VTOL feature seems much smoother than it did on the original. All in all we got two great vehicles this time and at $25 we got them at a pretty fair price. 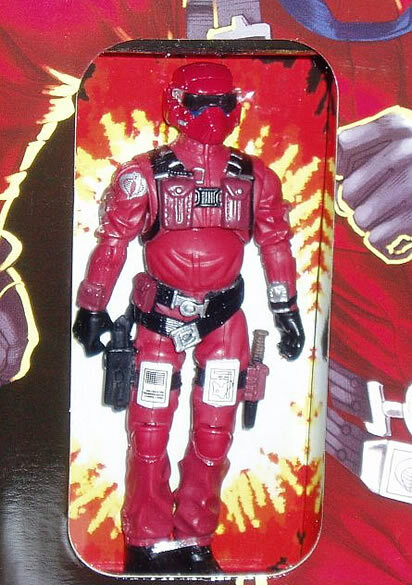 Great job Hasbro keep up the good work. My only complaint is the stickers on the bombs are already starting to come off so you might want to look into improving that maybe static cling might be a better way to go.